Russia and China are preparing to ink more than 20 agreements during an upcoming visit of Russian President Vladimir Putin to Beijing. 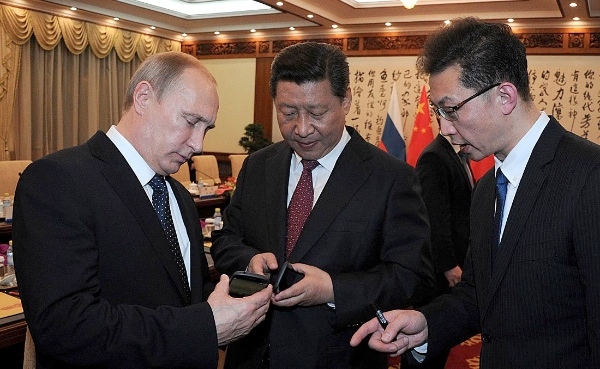 Putin will hold bilateral talks with his Chinese counterpart Xi Jinping next week. He will also take part in high-profile Chinese commemorations of the end of the second world war. In a press conference in Beijing on Thursday, Andrey Denisov, Russian envoy to China, said more than 20 cooperation deals including “energy, finance and investment, transport and logistics”, will be signed after talks between Putin and Xi on September 3. “Both the first and second group of documents include agreements on different aspects of energy,” said Denisov. The two sides are in the midst of crucial negotiations on Russian gas deliveries to China via the proposed western route. “Negotiations will continue until the last day and hour on some of them, including those that deal with cooperation in natural gas. This is, by the way, global practice because there are very serious, very large-scale issues that are very important for both sides and for companies on both sides,” the Russian envoy said on Thursday. China is reviewing its energy needs due to the economic slowdown. “Gazprom offers CNPC a high price, explaining this by the high cost of the Power of Siberia – 2 construction. China is ready to build the pipeline at a cheaper cost and at public tender, so its companies could participate and for the construction price to be transparent,” Sergei Sanakoyev, head of the Russia-China analytical center, was quoted by Russian broadcaster RT. “Gazprom refuses and China does not hurry,” he added. The Russian envoy to China, however, said today an agreement is at hand. “So I can assure you that documents on further development of our cooperation in energy will be definitely signed. But we will learn on September 3 what exactly these documents envisage,” the envoy said in Beijing. Russia’s Power of Siberia-2 route, previously known as the Altay route, is expected to deliver 30 billion cubic meters (bcm) of gas annually to China in addition to the eastern route called the Power of Siberia pipeline, which will annually deliver 38 bcm of gas to China. In May, Russian energy giant Gazprom and China’s CNPC signed an agreement on the basic conditions of gas supplies from Russia to China through the western route.